You can hear Grant Green play something like this on "Blues For Juanita" from his 1962 Blue Note LP The Latin Bit. As far as I can tell, as the one non-Latin groove from the day's recording, "Blues For Juanita" was left off the original release but seems to have been included in every subsequent reissue along with a couple of other tracks from later in the year. This lick takes place over bars 7 and 8 of a twelve-bar jazz blues in Bb, and I've indicated what tonality Green is playing out of (above the tab) and what scale steps he's playing relative to that tonality (above the notation). As you can see from all of that, he sticks pretty close to the harmonies at hand, with the G7 altered lick falling neatly into measure 8 – making it particularly easy for you to lift and appropriate this move for your own use elsewhere. More importantly, check out how easy it is to slip from this particular position of the Bb scale into the G7 sound, and from there into some C minor moves, all without shifting your left hand at all. 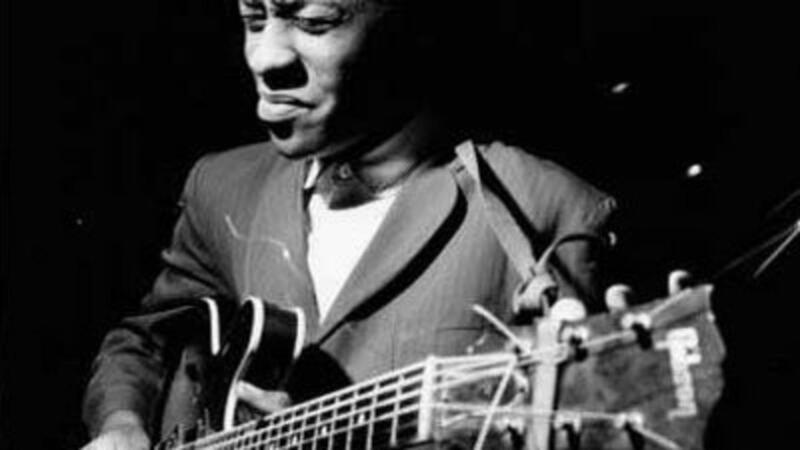 In my mind, I think of this as the "Charlie Christian" position for Bb, because that's where I first encountered it, but if you want to think of it as the "Grant Green" position that would be entirely your prerogative.